Hi! At Wine Club Reviews we review companies that offer wine club subscriptions and sell wine gifts. This is a review of Vinesse. California produces some of the best wines in the world, with stunning wines to sip from up and down the extra large state, but this is not the wine club to buy them from. California Treasures ships wine at $15-17 a bottle, plus shipping, but this isn't a price-point where California wine excels. It's better in the mass-produced sub-$15 price range, and at $25+. One of our favorite wine of the month clubs, this Light & Sweet club is the perfect choice for so many wine drinkers who prefer fruity and sweeter wines to drier styles. If you are someone, or know someone, who loves wines like Moscato, Riesling and Gewurztraminer, sign up for this wine club because it's the only one like it out there in the wine club universe. We really enjoy this International wine club where each shipment contains six different wines from a single wine region somewhere in the world. Of the many clubs that offer an International selection, most aren't themed for additional wine discovery and education. We recently received several shipments from Vinesse, including the Pinot Noir club, and they've really stepped up their wine buying. If you're interested in more than just California Pinot Noir and you don't want to spend a ton of money on it, we really recommend this Pinot Noir wine club. Plus, you get Vinesse's rock solid satisfaction guarantee for every bottle, taking all of the risk out of joining a wine club. We recently received several shipments from Vinesse, including the Chardonnay club, and they've really stepped up their wine buying. If Chardonnay is your thing and that's all you want to drink, now you can get monthly deliveries of your favorite fruit juice. Plus, you get Vinesse's rock solid satisfaction guarantee for every bottle, taking all of the risk out of joining a wine club. 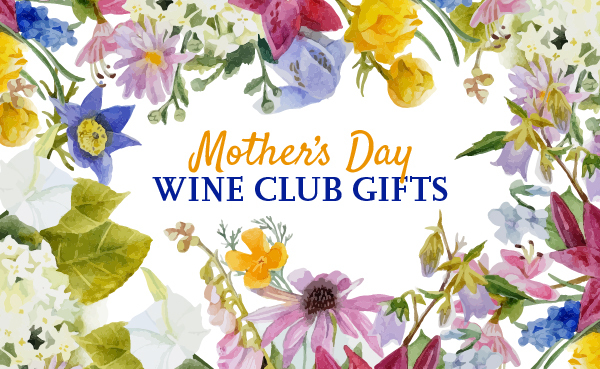 Note: A good portion of the Vinesse wine club customer base signs up for the wine club, specifically the American Cellars Wine Club, because they are offered bonus airline or hotel miles by joining the wine club. If this is you and you’re checking out the wine club before you sign... good for you for doing due diligence before you sign up for something! For everyone else reading this review these “miles members” frequently join this club just for bonus miles and haven’t given much thought to what a wine club is or what they should expect from it. We understand that these customers might feel taken advantage of, but we hardly blame that on Vinesse, we feel much of that responsibility belongs the airlines and hotels. They partner with Vinesse in order to create a new profit center for themselves, and they do this by leveraging their existing customer relationships. Consumers complained about the quality of the wine. Quite honestly, we’re baffled by this. At least we were. After months of tasting shipments from the American Cellars Wine Club shipments, we can safely say the quality is probably not what any experienced wine drinker would want. Sadly, this reputation sometimes gets applied to all of the Vinesse wine clubs, but happily, many of their wine clubs are excellent (see below). We know wine taste is subjective and don’t expect to like all of the wine we drink. Likewise we don’t expect you to like all of the wine you receive from any wine club out there. This subjectivity is why our wine club ratings focus on quality and value instead of taste. Consumers complained about ongoing charges/shipments and didn’t know they were coming. This one is really hard for us to swallow (seriously). How do you sign up for a wine club and not know you’re going to get charged for future wine shipments that will be delivered to you? Enough said. Well, now here’s an interesting topic. While a few Vinesse customers have been vocal about this issue, it’s actually a logistics problem common to most wine clubs. Here is an explanation of how you might reasonably get charged for your second shipment within a day or two of receiving your first shipment and before you have a chance to back out of that second shipment (common mostly to people who just want their airline miles and then get out of the program). Most wine clubs ship out their regular wine club shipments on a particular day of the month. If you sign up say 14 days or less before ship date, you get the next “regular” shipment and everything turns out well. If you sign up more than say 14 days before that ship date, you’ll get an initial shipment, and then get added into the “regular” shipment schedule. Assume the first shipment goes out within 2 days of placing the order. Now, let’s say you live somewhere where state regulatory issues require a holding period of 7-10 days before you can receive the wine. There’s only 2 days left until the next shipment is scheduled to go out, so you’ve probably already been charged... it’s not a scam, it’s just an unfortunate logistical situation. Not surprisingly, this timing problem is a big deal to Vinesse and they are actively working to reduce these types of issues. Vinesse is doing all they can to address this problem. The information that goes out in the confirmation email after you sign up for the club contains detailed information about your shipping schedule and when your credit card will be charged. Before you read the rest of this answer, please note that NONE of the wine clubs you purchase from Vinesse through WineClubReviews.net carry an annual fee. Alright, we acknowledge this situation is a little sketchy, but we don’t think it qualifies as a scam, as some past customers have declared. We don’t fully blame Vinesse for the problem, but they definitely could be more aggressive in finding a better way to handle it. This is a combination of regulatory issues, technical issues, and customers not reading the Terms & Conditions. Vinesse can’t do anything about the first and third reasons, but they are falling short in handling the second one. Regulatory issues - Vinesse is very rigid about their compliance with California state regulations (for good reason). The California ABC commission prohibits retailers with an alcohol license form giving away free items with the purchase of alcohol. Many years ago, in order to do an end-run around this, they decided to charge an annual fee and then provide a voucher for an equal amount of money that you could spend on wine. Seems like a fair way to treat customers and not be in violation of the free item rule. Technical issues - This is where Vinesse dropped the ball and still hasn’t quite picked it up (but they are thinking about it). You can’t use the voucher to pay for your wine club membership online, you’d have to call customer service. You can use your voucher to pay for additional wine you buy at their online store or via customer service. A little weak in this day and age, we agree... but you CAN redeem the voucher, thereby nullifying your annual fee and allowing you to receive free goods from Vinesse. Customer issues - We HIGHLY encourage anyone signing up for any type of continuity program (whether it’s a health club membership, a wine club subscription, or a magazine subscription) to read the fine print. It’s there for your protection and it’s a good idea. If these customers had read the Terms & Conditions when they enrolled, they would have seen the annual fee and could have elected not to subscribe. Additionally, a printed letter was mailed to each subscriber (with the voucher in it) explaining the need for the annual fee and the voucher... so the moral of this story is please, read your mail when it’s from someone who you have a financial relationship with! We get paid by a lot of wine clubs and don’t have to say nice things about them (they don’t pay us to say nice things, they pay us to deliver new customers). It’s not what motivates us here at WineClubReviews... our goal is to help connect wine drinkers with the right wine club for themselves or to give as a gift... not just our favorite wine clubs or the ones that pay us the most because that’s slimy and/or self-serving (we do tend to favor wine clubs where a high percentage of visitors we refer make a purchase because that seems to mean the wine club was the right wine club for those visitors). Vinesse offers 10 different wine clubs, read our reviews.